UNISONSteadfast is one of the largest independent networks of mid-sized insurance brokers headquartered in Hamburg: local specialists in International Insurance Programs and Solutions for all significant industrial regions worldwide. 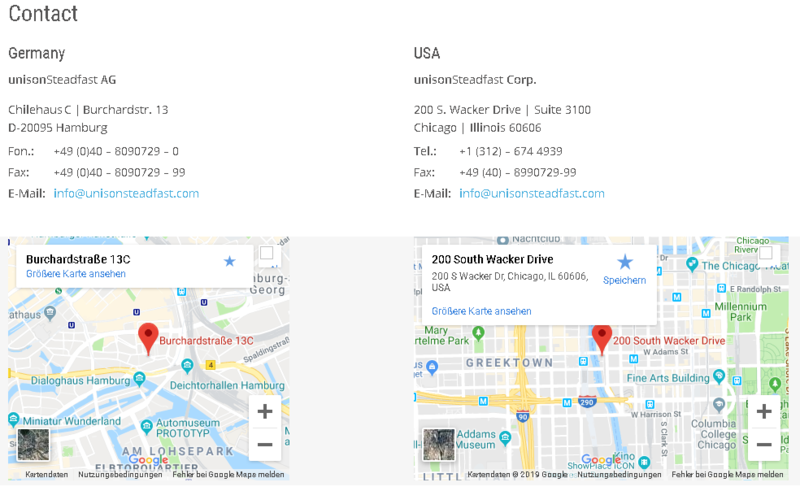 The name of UNISONStaedfast stands for consistent broker network, which is based on a common commitment to excellence and mutual understanding that individual professional service adds value to its clients. To reach this aim we form a co-operation in international insurance business. “Success by partnership” is the basis of this cooperation. 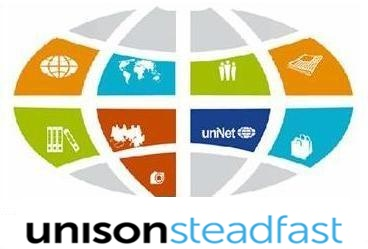 UNISONSteadfast grants us an access to a worldwide professional broker network participating in the development of standard procedures, uniform methods, effective communication tools and in International task forces. Participation in UNISONSteadfast annual member conference. During our Membership Cooperation, the contractual parties pledge not to acquire the respective member’s clients, or to directly or indirectly take on the client without the member’s prior agreement. We and UNISONSteadfast pledge to bring Our new, International insurance business into the co-operation, as long as this does not conflict with the insured client’s or other interests. With regard to existing insurance business and policies, a case by case evaluation will determine whether a change to UNISONSteadfast or to us is appropriate. From the date of the announcement issued, not only the transition process of the alterations on our Website and other stationary support will be carried out, but also, the enhancement of integrated Services Quality and the expansion of our Global Network are the most important goals in giving added value to Our Customers and Business Partners.